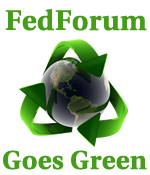 For questions about The FedForum you may fill out the form or contact us directly by email. If you have a question regarding Exhibits, you may email exhibits@thefedforum.org. For general and conference related questions email registration@thefedforum.org.